A 12-year-old Harlem boy tormented by several classmates over his short stature, braininess, and even his deceased father, hanged himself on Tuesday night in the bathroom of his family’s apartment. 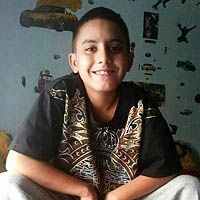 “I’m tired of all this bullying,” Joel Morales said hours before he took his life, according to his aunt. In some heartbreaking stories involving a young person’s suicide, it’s later revealed that the parents didn’t realize the severity of a child’s bullying. That’s not the case here. According to the Daily News story, Morales’s mother Lizbeth Babilonia had her son transfer schools to escape the physical abuse and taunts, contacted the police after four boys knocked on Joel’s door and threw sticks and a pipe at him when he opened it, and unsuccessfully sought to have New York Housing Authority officials move her and Joel to another housing project. The conversation surrounding the trial of Dharun Ravi, who was recently sentenced to 30 days in jail for invasion of privacy and bias intimidation, may have helped highlight the impact of bullying. But even helicopter parents can’t fully control how a child is treated at school, or how a school handles abuse. Nor can anyone control how a young person will respond to the stress and fear.